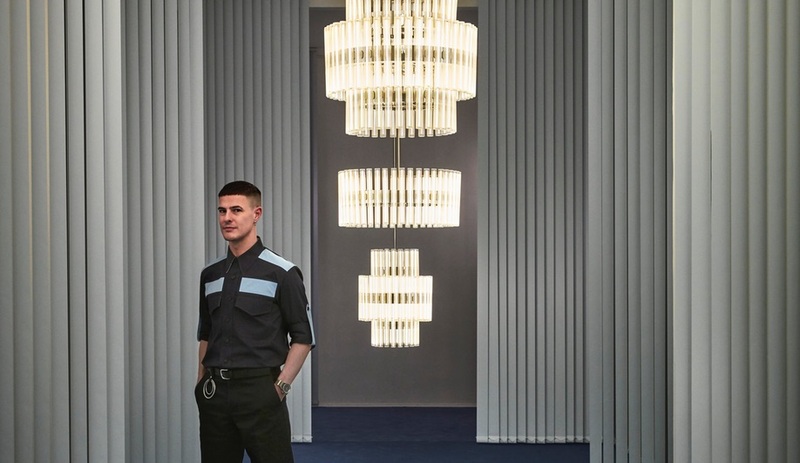 Once named Britain’s Best Designer of the Year, Lee Broom will be in Toronto on May 24 to talk about his latest lighting, which debuted in Milan, and will travel to NYCXDesign later this month. Here’s what you should know about the man behind the global brand. RSVP here. 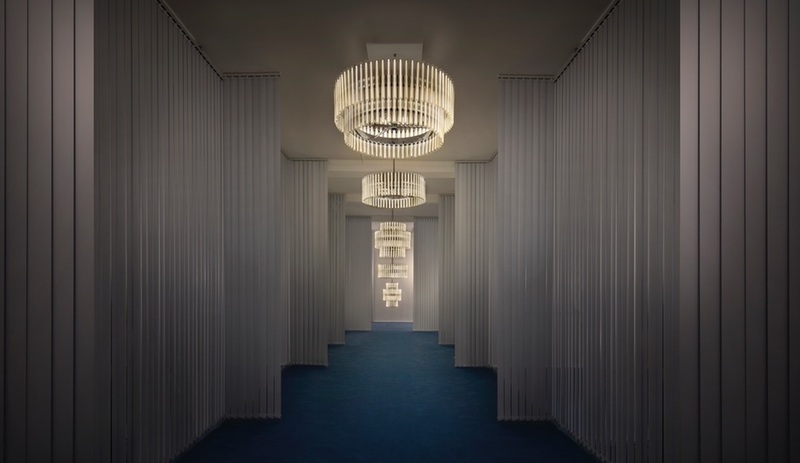 On May 24, Lee Broom will sit down with Azure editor Catherine Osborne for a Q+A, hosted by Toronto lighting showroom LightForm. Fresh from Milan, where his latest collection, Observatory, was on view for the first time, Broom will provide insight into his prolific output and ongoing success. Lee Broom’s Orion pendants from the Observatory collection. Many designers purport to have a global practice, but few actually live up to that lofty description. Broom is a notable exception. 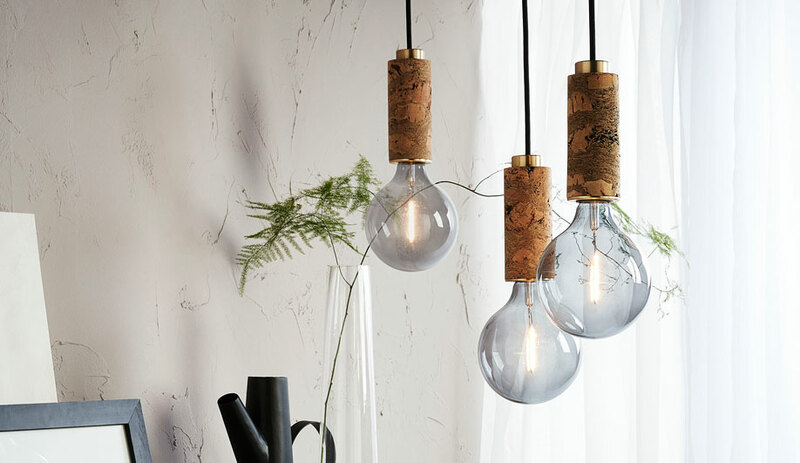 Since founding his studio in 2007, the London product designer has turned his name into an internationally recognized brand, selling modern-glam lighting fixtures, furniture pieces and tabletop accessories to some 240 retail stores worldwide. Two of those shops are his own: one located in London’s Shoreditch; the other at 34 Green Street in New York (just steps away from Broome Street, no less). The Observatory collection was unveiled at Milan Design Week 2018. In his hometown, Broom has left an indelible mark as a designer to watch, scooping up a host of awards in recent years, including British Designer of the Year Award in 2012, and the Queen’s Award for Enterprise in 2015, presented at Buckingham Palace by the Queen herself. So, how has Lee Broom become such a design powerhouse in just over a decade? He credits his first career as a child actor, then later as a fashion assistant to Vivienne Westwood and dresser for fashion model Kate Moss. 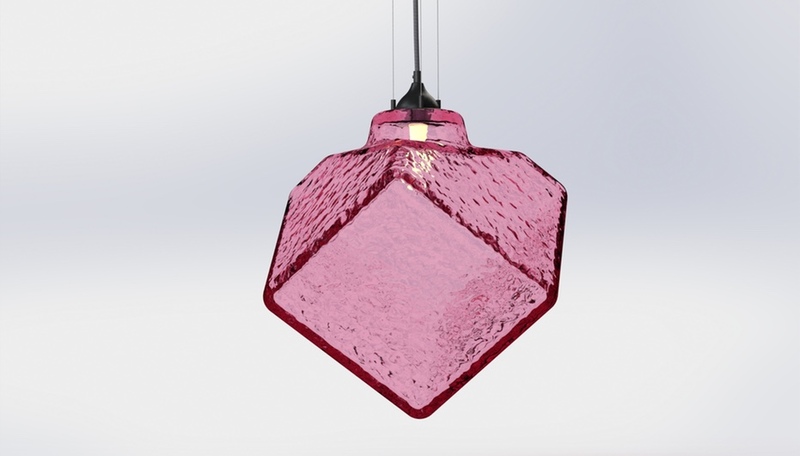 Product design followed a few years later with a series of pendant lamps made from vintage crystal decanters sourced from antique shops and flea markets. 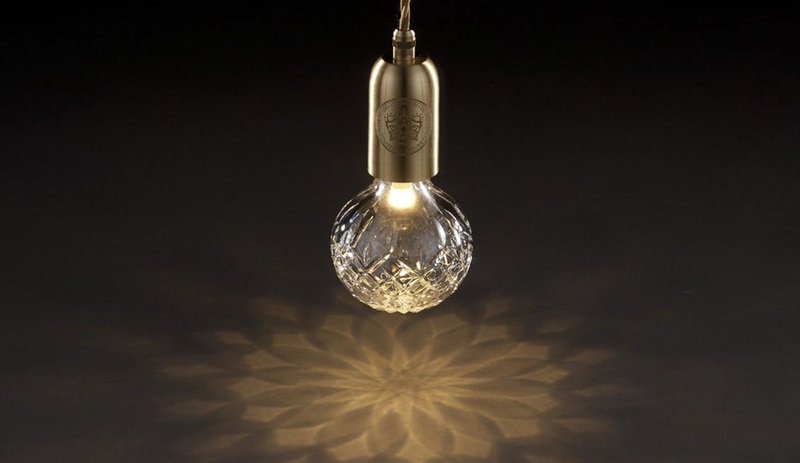 Called Decanterlights and launched during London Design Week in 2010, the inaugural fixtures eventually led to Crystal Bulb (below), a light Broom’s company produces that has the shape of an incandescent bulb but is handcrafted out of cut crystal. 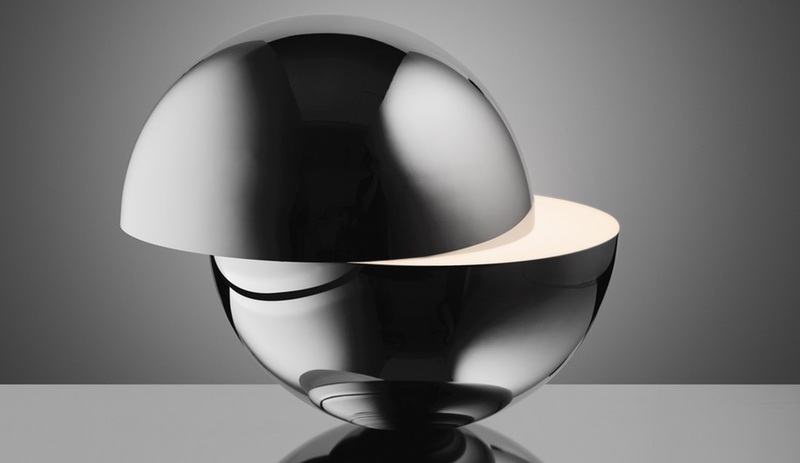 Winner of the British Design Award, the ornamental light remains one of his company’s top sellers. There is also Lee Broom, the performer, who never fails to present his work at furniture fairs with theatrical panache. 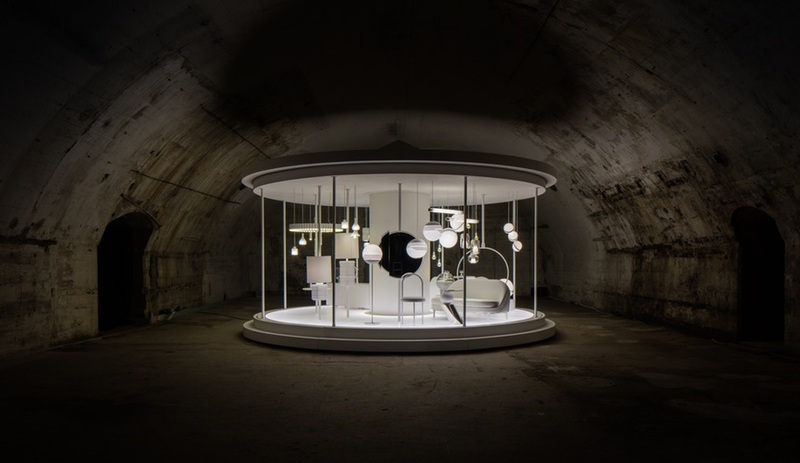 In 2016, he celebrated his 10th-year exhibiting at Milan with a pristine, all-white and mirrored merry-go-round artfully curated with the best lighting and furniture from his collection of some 100 unique pieces, and presented inside a derelict vault at Centrale Station. 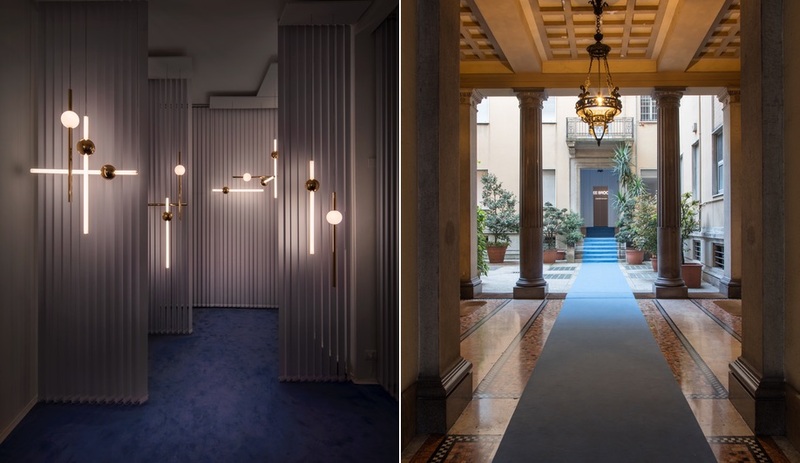 This year in Milan, his Observatory collection was installed in the Brera Design District where stellar-inspired lights played with proportions of vertical and horizontal space, sculptural, spherical form, and the refraction and reflection of light. The collection uses the latest LED technology with light bulbs custom-designed and express Broom’s signature mix of classicism and modernity. 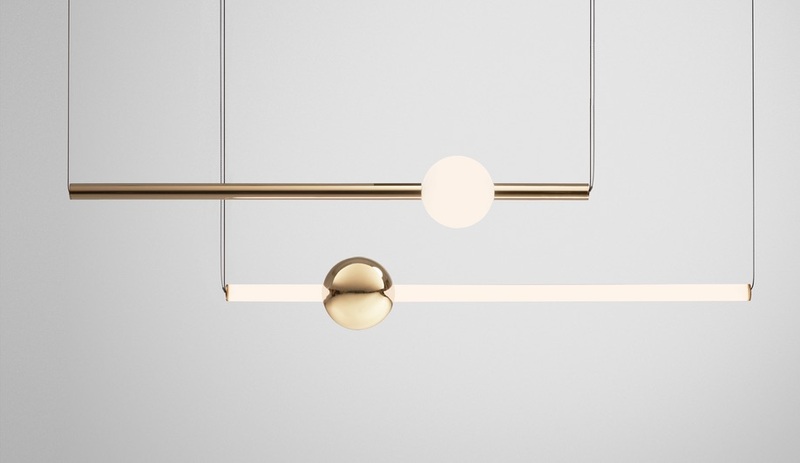 Observatory, comprised of four new lighting collections – Eclipse, Tidal, Orion and Aurora – will be showcased in New York as part of NYCXDesign, and at the London Design Festival in September. 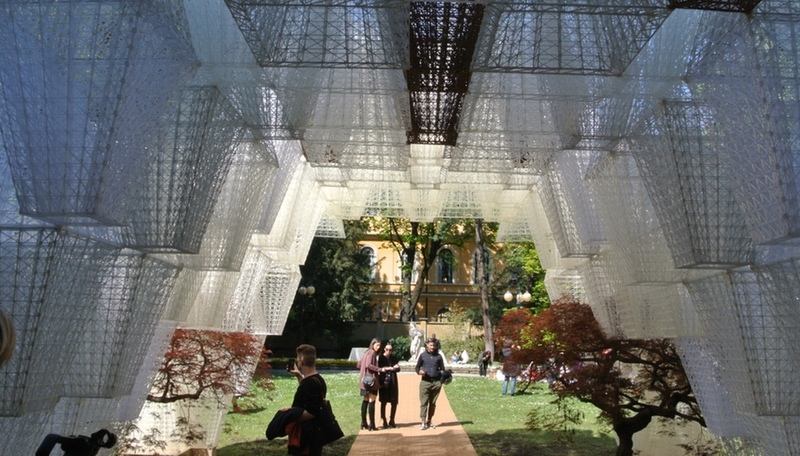 The lights will also be on view at LightForm in Toronto. Broom’s talk in Toronto, scheduled for 6:00 to 8:00 p.m. on May 24, will be held at LightForm’s showroom at 267 Niagara St. RSVP here.